$10,000 PRICE REDUCTION!! Offers anytime! 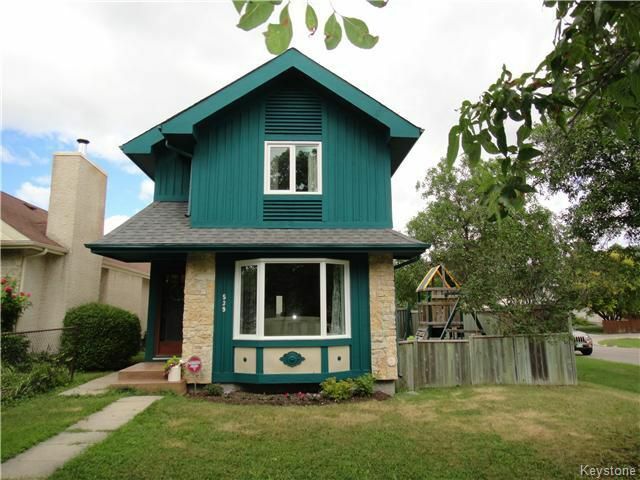 Beautifully updated 3 bedroom, 1.5 bath home in River Park South. Large and bright living/dining room combo with two bay windows open to the kitchen with an abundance of cabinetry, island, bay window & direct access into the backyard. 3 great size bedrooms on the upper floor featuring large windows and laminate flooring. Master bedroom features a walk-in closet. Updated full and half bath with brand new tub surround, toilet, vanities and flooring. Great Jets themed basement rec-room with new carpet, paint and trim. Basement also features a large storage and laundry room with an extra shower stall. Great back yard space with large deck and green space. Double detached garage wired with a 220V outlet, back lane access and extra parking pad. Other features include new windows 2014, shingles 2015, all new flooring 2012, light fixtures, paint, trim, doors & casings 2012, stamped concrete front steps 2014. Also features A/C and a sump pump.